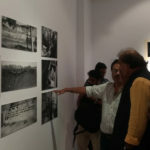 The Indian Photography Festival (IPF) – Hyderabad, a Not-For-Profit initiative of Light Craft Foundation is an international photography festival, showcasing a wide range of photography across all genres from portraits and landscape through photojournalism to fine-art by emerging and legendary photographers from India and around the globe. 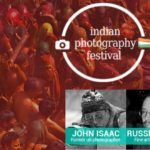 The IPF creates a platform for the professional and aspiring photographers, the photography lovers and the public where the IPF strives to promote the art of photography at the same time addressing the social issues through the medium of photography. 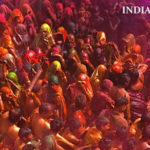 A large group of photography enthusiasts comprising of professionals, art experts and many people who share a similar taste in the medium assembled at the State Gallery of Art to witness the Indian Photography Festival being held here. Happening for the second year since inception, this festival aims to promote and host the art form in all its contemporary sense. 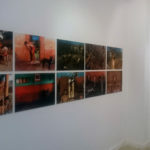 This event purposes itself in the belief that photography is a powerful tool in communicating, inspiring and teaching while creating a canvas for many a photographers who sum up to form the future of this art form. A panel of speakers comprising of those from the administrative side and from the star line-up that were present, introduced the festival and brought forth ideals of the events that would happen in the upcoming days of the festival. 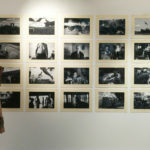 Exhibiting galleries which showcase work of 300 photographers from 36 countries were well arranged and placed by the curator Amit Mehra and his team. Hiro Tanaka, an exhibitor from Japan who was present near his panel of photographs taking in feedback responded saying – that the exhibition was put up in a very organised manner and that the people were very friendly. As the event unfolds, a series of featured exhibitions, artists talks, panel discussions, portfolio reviews, photography workshops, open studios & book launches will take place. 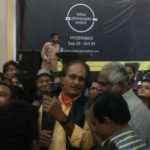 Festival director curator is Aquin Mathews Amit Mehra and festival team members are Vinod Babu, Vikas Nama, Naveen Indrasena Reddy, Ananya Sinha, Vinay Parab, Nishanth Kumar Biderkote, Sundeep Varma, Shiva Ram, Sneha Trivedi, Vishal Chakraraj, Praveen Kumar Reddy, Shweta Pradhan, Kamani Vineeth.